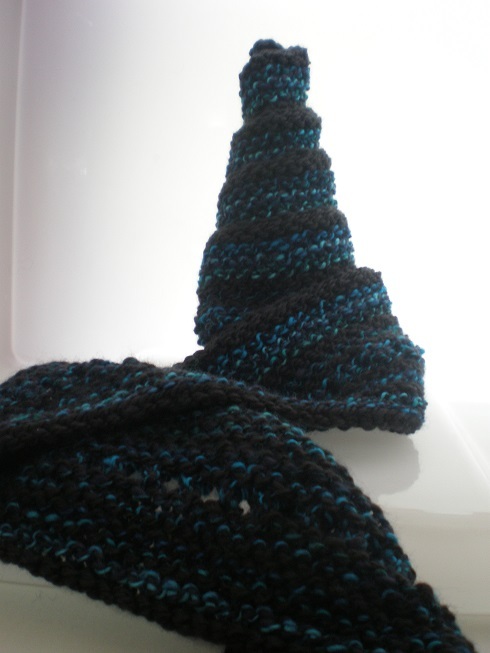 The summer challenge will take the form of a scarf using your favourite colour plus one other. We will have 5 tubs, each marked with a colour. We are ask you to choose your favourite colour from the 5 on offer. For example: If your favourite colour is BLUE then you pick a piece of paper from that colour’s tub. On that piece of paper will be another colour that we wish you to use with the BLUE. You may also, if you wish to, add any neutral, i.e. white, grey, cream, or beige to your work but we ask you not to put any other colour in. The idea is that by choosing your favourite colour you already have confidence using it and the other colour may be one you already like to use or it may be one that challenges you a bit! Each of the main colours comes with one of 4 other colours…. You may use the colours in any combination or way that appeals to you. 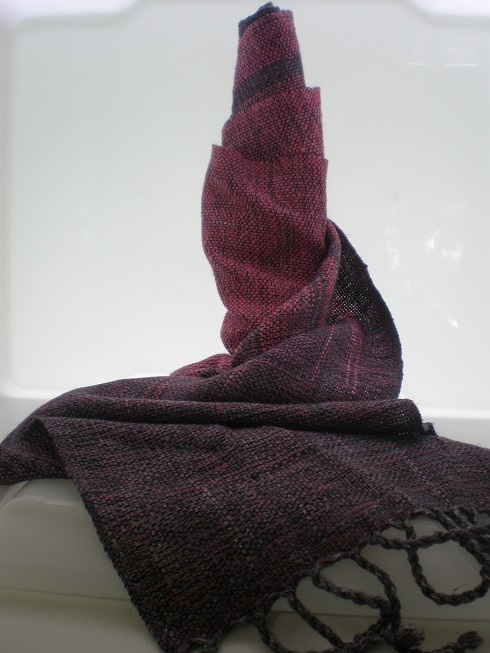 You may choose to dye fibre/handspun/fabric, maybe overdyeing a neutral with a variety of shades of both colours. You may choose to weave the colours in a pattern, maybe using the main colour for warp and the surprise colour for weft. Or maybe you will mix the colours in blending or plying a handspun. 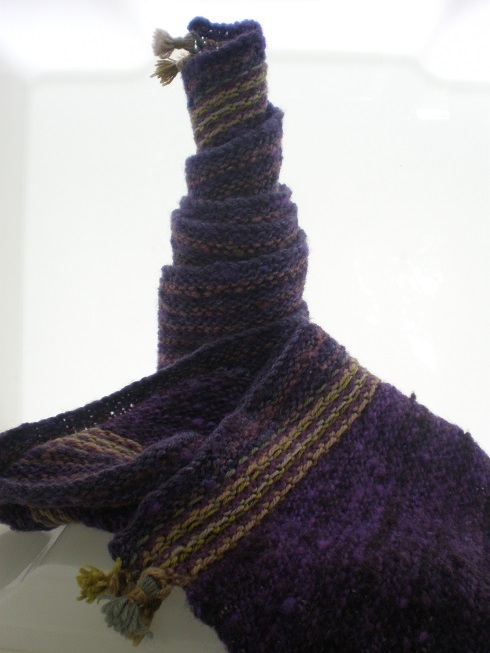 We are asking you to make a scarf as this is an object that can be a simple or as complex as you like, using its length to show how you have used the colours. …and these were the entries, aren’t they stunning?